I don't know about you, but I've been caught up by the Winter Olympics held in Vancouver this week. The excitement of all that hard work by the Olympians, their fulfilled goals as well as personal trials come together to give the viewer a fine look at individuals as well as their sports. We have Duluth connections at this year's Winter Olympics as well and that adds to the hype. "The Olympics is pretty special... I think there are a lot of people who could make it here, but the ones who do make it here are the ones that are willing to do what no one else will do." Jenny Potter, former UMD women's hockey standout and a four-time US Olympian on the US team, as quoted in a story in today's NY Times. The Times story gives a personal look at what it's like for Potter to be a mom and an Olympian. The link to the full story is HERE. "The Neighborhood Curling Team," written by John Branch in today's NY Times is another interesting read about our local curlers representing the US in the Olympics. John Shuster, Jason Smith and Jeff Isaacson grew up together on the Iron Range and were boyhood friends. They later lived together in a Duluth apartment and curled at the Duluth Curling Club. Branch gives a nice profile of boyhood friends who live, eat and curl together. Duluth's Chad Salmela is one of the NBC biathlon commentators at this year's winter Olympics. There may be other area connections to the Olympics that I've missed. Please feel free to add to the list. And...it's the US facing Canada in tonight's Olympic hockey match. I know of some Canadians and US folks vacationing here on the gulf shores who will be watching that game together. Should be more Olympic fun. I wanted to call your attention to my letter to the editor in today's Duluth News Tribune. (Click HERE to read the letter.) A woman reader wrote in to finally define once and for all the true boundaries for Duluth's "West End" (Lincoln Park is today's teminology) and "West Duluth." So many newcomers to Duluth mistakenly mix up the two geographical areas... and also misname our main downtown streets. 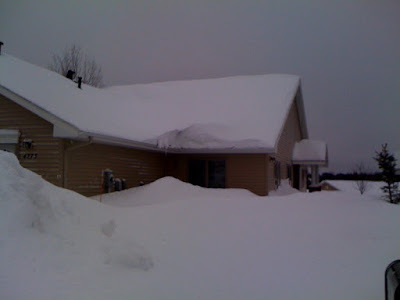 With the warmth of Valentine’s Day still on our backs – if not our hearts – here’s a scene from the day before – Saturday, Feb. 13. Our scene takes place in a large chain drugstore in Florida, the greeting card section, the area in that section marked off in red: valentines. The cast consists of one woman, likely in her late 20s; two uniformed deputy sheriffs, armed to the teeth with service pistols and taser guns, and two ordinary blokes, one of whom was me. We all jockey for position before the vast array of valentine sentiments ranging from the sweet and simple to the elaborate over-the-top expressions bordered in faux lace, and everything in between, including the vulgar. The young woman broke the silence, addressing, I thought, me, in particular. “My father sent me here to get a valentine for his wife, and I don’t know what he should say,” she blurted out. Her father’s wife, it was clear, was not the woman’s mother. “The funny valentines are over there,” I said, pointing to the south end of the display. We both giggled, melting the reserve of one of the deputy sheriffs, a stocky man (you could even say portly) whose pistol belt could have been in the 50 inches range. The husky lawman smiled and agreed, as he examined a teddy bear-valentine-candy combination handily placed next to the simple and elaborate cards. We all continued to jockey for position, the quieter, slimmer deputy never breaking a smile, and the other ordinary bloke not joining in at all. Finally, the corpulent deputy chose the combo (not taking any chances) and wandered over to the magazine section to browse while his partner continued to peruse the valentine selection, brow furrowed, mouth unburdened with anything approaching a smile. He could have been confronting a wrong-doer. Shortly (but quite fatly) the larger lawman returned with a periodical devoted to women’s weight problems, its cover displaying a svelte model that any woman could resemble if only she’d read this magazine. “Maybe I should give her this,” the deputy laughed, showing us the cover. All but the other ordinary bloke giggled, imagining the reaction of the deputy’s spouse – or possibly main squeeze -- to receiving a diet magazine as a valentine. In the end, the woman in search of a valentine for her father’s wife, each deputy and I found a valentine, but as I walked toward the checkout counter, the other civilian was still staring at the array of valentines before him, moving from silly to syrupy without a decision. I know how he felt. The NorShor Theatre picture (above) is one of the pictures given to me in the 70's by George Brown, then manager of the theatre. This picture and others in my collection have been widely circulated. Note the marquis for the first movie shown in the theatre after the remodeling of the Orpheum (original entry and facade on the avenue) was transformed into the NorShor: Hold Back the Dawn with Charles Boyer and Paulette Goddard. Paul Lundgren contributed a short history of Duluth's NorShor Theatre in the Perfect Duluth Day blog. The Orpheum building (former Orpheum Theatre) that houses the NorShor turns 100 this year and that inspired Paul to write about it. Check out the PDD site HERE for more from Paul about that history. Tony Dierckins, local publisher and historian, commented on PDD about the vintage pictures of the NorShor I shared with him and also with Laura Ness who compiled a NorShor history piece for the Zeppa Foundation a few years ago. Tony hopes to publish some of those pictures on his web site soon so stay tuned at his site, http://www.x-communication.org, to see those pictures. Here's an anecdote going back to the building's Orpheum days (1911-1940): I once came across a Duluth newspaper review of a popular stage play of the early 1930s, "The Barretts of Wimpole Street," playing at the Orpheum, that listed Orson Welles among cast members in the role of a juvenile. Welles was born in 1915 (thank you Google), so he must have been 16 or 17 when he toured with the play, including its stop in Duluth. 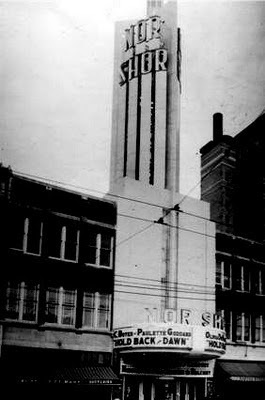 Note: In my book, Cooler Near the Lake, I include a column about the NorShor–a memory piece about what it was like to see a movie at that theatre in its heyday. Many people ask me exactly what I did in my former storied career as a distinguished journalist. “What exactly did you do in your former storied career as a distinguished journalist?” they ask. I tell them I wrote editorials – the opinion pieces newspapers publish so that the waiting public will know what to think about stuff – for many years. “What did you write editorials on?” is a frequent follow-up question. I tell them on everything from soup to nuts. To further elucidate this matter, I offer here a couple of examples. There is entirely too much soup consumed in American society, and also in France. Some people eat soup -- or drink it, if you will (slurp it is most accurate) -- each and every day for lunch. This induces grogginess and lassitude when they go back to work. Two kinds of soups – cream-based and water-based – predominate in restaurants, many of which offer a “soup du jour,” which, contrary to the beliefs of many innocent diners, does not mean soup in a jar. It is French for “soup of the day,” to say nothing of the night. What the French do at night is their business and not a matter of our concern. One of the more popular soups is called “French Onion.” This is a water-based soup filled with onion chunks and covered over with cheese. It is almost impossible to eat -- or drink, if you will -- French Onion soup and retain decorum. Frequently the cheese must be cut with a knife, causing fellow diners and companions to wonder about you. Peas should be eaten with a knife, never soup. Another problem with soup is that most diners forget that the proper way to eat it -- or drink it, if you will (slurp is most accurate) -- is to spoon away from the body (generally in an easterly direction), and not toward it. This was established decades ago by Emily “Saturday Evening” Post, doyenne of good manners. What Emily did on Saturday evening was her business and not a matter of our concern. The bottom line: Soup is undermining our Democratic society and should be banned. Nuts have been given a bad name in our culture, and that must stop. We (that’s the editorial we) ask why people whose behavior is erratic are called “nuts,” besmirching the excellent legumes that propel the white corpuscles so vital to good health? Peanuts are a good source of exercise. Getting the part that is eaten out of the shell manually will limber the fingers but not shiver the timbers. Many people are baffled over how they get the salt in “salted-in-the-shell” peanuts. So are we (the editorial we). Little wonder that people wonder. Research shows that nobody knows how they get the salt in salted-in-the-shell peanuts. It’s high time we found out. Rather than spend billions trying to conquer Mars, when Hershey is just as good (except for peanut M&Ms), the United States government should fund a study through the Bureau of Alcohol, Tobacco, Soup, Legumes, Firearms and Dynamite to determine how the salt gets in there, and come clean with the American people. There are many kinds of nuts, of course, not only “pea,” all of them beneficial to the human race. Macadamia nuts, often associated with the Sandwich Islands (a.k.a. “Hawaii”), are known to enhance brainpower when ingested with a peanut butter sandwich. Ask Don Ho. Furthermore, more professors in academia consume macadamia nuts than smoke Camels. In brief, and in summary, let’s find another label for those persons who behave erratically in public and who give nuts a bad name (may we suggest re-employing “goofy” or “goof”? ), and eat more real nuts. These are just two examples of what we used to call “advocacy” editorials. There are also “commentary” editorials, which we (the editorial we) will visit on another day.